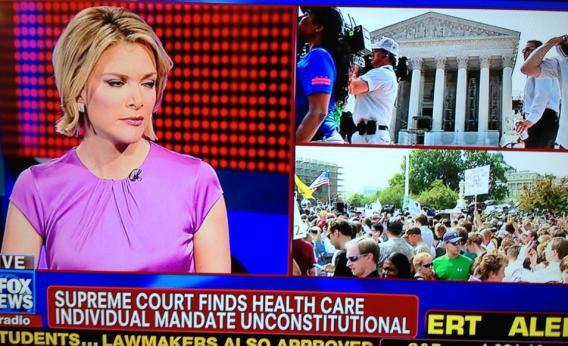 Photo of Fox News broadcast early this morning by @JasonKeath. 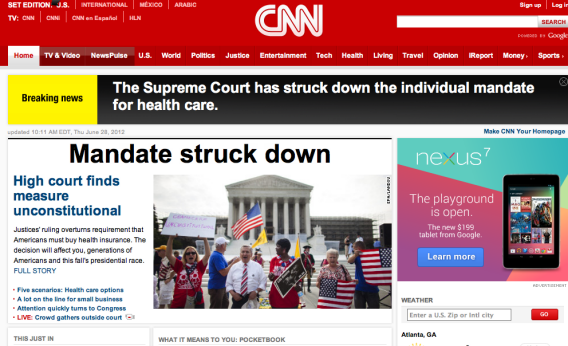 Screengrab from CNN.com homepage just after 10am Thursday morning. Capture by @Chanders. VIDEO: Slate’s Dahlia Lithwick on what it was like on the Supreme Court steps in the minutes after the ruling. MORE: Did Justice Roberts save health care just so he could gut the commerce clause?